COLORFUL, STYLISH SOCKS - You'll receive a new pair of socks each month, for 12 consecutive months. Your subscription will expire at the end of 12 months. To join the club add this item to your cart, check-out and you're in. Then, sit back and enjoy a new pair delivered to your front door every month. OUR HAPPINESS GUARANTEE - We take a lot of pride in our unique socks and the high quality cotton we source to create them. Using the finest materials and being knitted on a 168 need count knitting machine, you will never have to worry about your socks stretching out, ripping or tearing. However, if you're not completely satisfied we'll refund your money. No questions asked. MORE VALUE FOR YOUR MONEY - Don't fight the trip and prices of designer stores and have better quality and patterned socks delivered right to your door every month. MAKES A GREAT BIRTHDAY OR HOLIDAY GIFT - Let's be honest, sometimes people are difficult to shop for. Eliminate the stressful shopping and get them something unique that gives month after month. When it comes to crazy colorful socks, stand out from the crowd and give a colorful gift made for sock lovers by sock lovers. HASSLE FREE SHOPPING - Simply order once and give or get a gift at your doorstep every month. No shipping charges, no wrapping, no hassle. DESIGNED IN THE USA BY SOCK LOVERS FOR SOCK LOVERS - Finding high quality, fashionable socks with a low price tag seemed to be impossible. That is why a group of guys started The School of Sock. 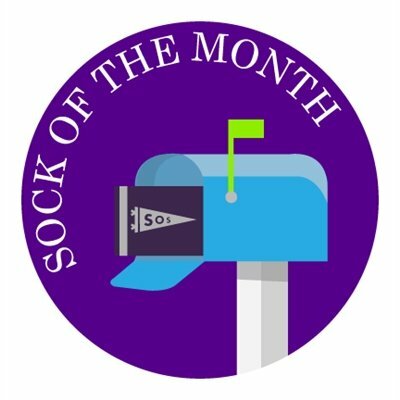 We created a high value sock for a low price and we deliver it to your door every month with no shipping charges. HIGHEST QUALITY COTTON DRESS SOCKS - We didn't want cheap socks that fell apart after a couple of washes. Therefore we searched the globe to source the finest cotton, nylon and lycra to create a comfortable and durable sock that will always last. COLORFUL AND UNIQUE DESIGNS - You won't find our designs anywhere else. We design these unique socks here in the USA ourselves and partnered with Rebecca Minkoff to come up with fun and colorful designs. MADE TO FIT - It is hard to find the perfect size sock for men and women. We use a special blend of high-end materials that will fit a range of happy sock enthusiasts. These socks will fit men size 6 - 13 and women 7 and up. FREE SHIPPING - Why add cost for our customers when we are trying to provide a high quality, yet affordable sock. We won't charge you any shipping all year long. If you have any questions about this product by Sock It To, contact us by completing and submitting the form below. If you are looking for a specif part number, please include it with your message.